BA has officially begun service to San Jose International Airport! Their first flight from London landed yesterday around 6pm and our friends at WMS Media managed to record the event from a Downtown San Jose tower (see below). 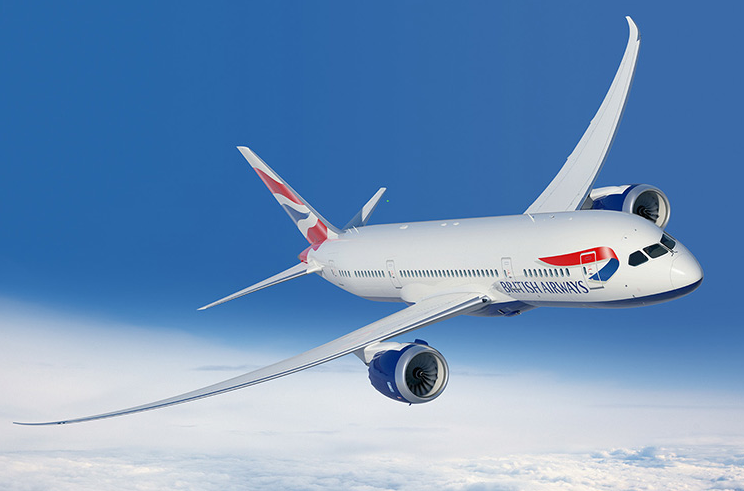 The new international route not only brings San Jose closer to London, but also the 130+ destinations that British Airways serves out of Terminal 5 in Heathrow Airport. The flight features a state-of-the-art Boeing 787-900 (20 feet longer than the 787-800 pictured below). The plane is the first in San Jose International's history to have four classes of service: 8 First Class "cabins," 42 Business Class seats, 39 Premium Economy, and 127 Economy seats. Those who have flown on British Airways know that even the cheapest seats are pretty nice compared to American carriers--and this is the very best plane in the British Airways fleet. I'm thrilled that my favorite airline is finally in San Jose and hope they will add more routes in the future! Arrival in San Jose of British Airways #279 Inaugural flight from London from WMS media Inc. on Vimeo.